Main objective of this website is to constantly provide solutions and tools that enrich end-user experience and our regular visitors of the website would attest to this fact. iOS along with Android is the top mobile platform in the world with many fantastic apps churning out every week but unfortunately those apps have not been customized for use on desktops and laptops. However, in this article we will tell you the way to access the best iOS applications now on PCs loaded with Windows 10. 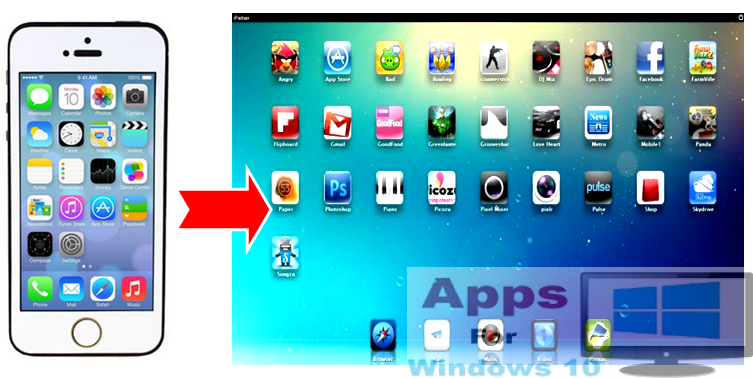 You can also find Android Emulator that runs android apps on PC here on our website, see this link. There are iOS emulators that help you immerse in Apple’s waste array of mobile applications, keep on reading this piece for details in this regard. After grueling testing of this software program, we have come to the conclusion that iPadian for Windows 10 is one of the best iOS emulators currently available in the market. Perhaps it’s more of a simulator than emulator since it presents real iPad interface on Windows, fans of iPad would surely love iPadian to access iOS apps on their windows PCs and Laptops. iPadian opens in browser after installations, you can choose your favorite browser to play iOS games and apps on PC during installation. 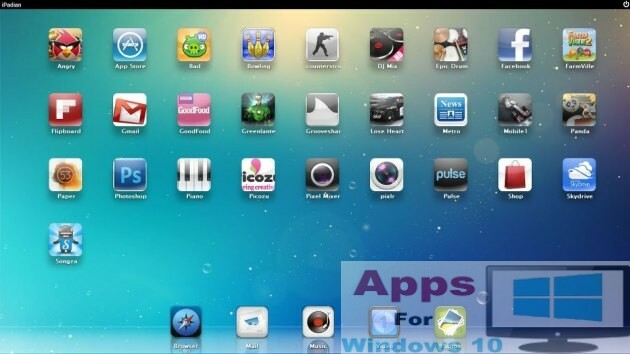 Windows 10 users who want to get the feel of iPhone interface on desktops and laptops should download this Air iPhone Emulator. It’s kind of a complete package in a sense that not only you can play iOS apps for iPhone but also can make and receive calls, texts and voicemails from your Windows 10 PC. Air iPhone Emulator replicates iPhone interface but some features such as Safari browser and certain apps might not work on your PC due to hardware differences. 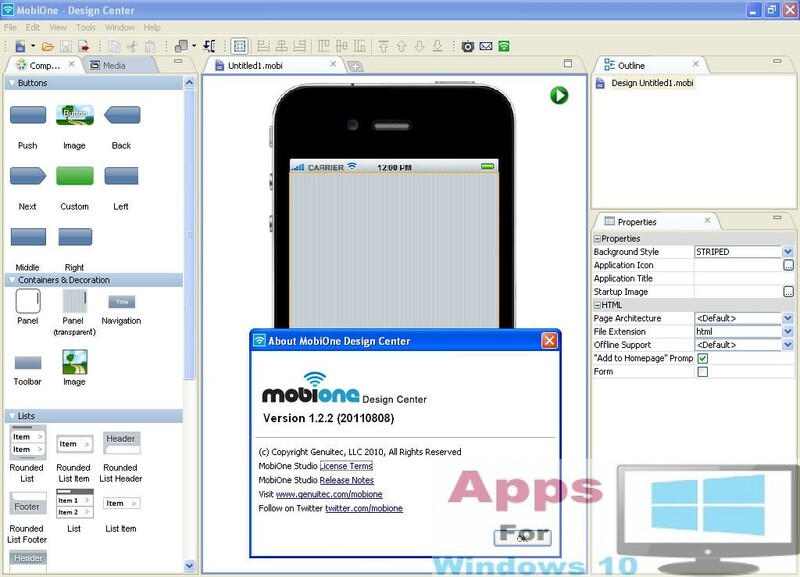 Above mentioned emulators have been designed to be used by both non-experts and developers alike, but this MobieOne Studio emulator is specifically for those of you interested in creating mobile apps for both iOS and Android platforms using HTML5 hybrid native app model. It’s interface resembles that of Android SDK app developing tool. Build your app on MobieOne Studio and send it to their testing team which will check the app for errors and bugs for you. One downside of this app is that it’s not free, it comes with 15 days trial period after that you will have to spend some money to keep continuing to use full app features. You don’t have to be an expert app developer to create an app using MobieOne Studio, even average user can design apps on it, however, some sort of basic understanding of open source Cordova or Phone Gap framework would be helpful. Aim of this website is to present all information in complete unbiased manner to allow our dedicated readers make the most informed decision when picking tools that best serve their needs. We believe that conferring effusive praises on any product or service without pinpointing drawbacks impedes the process of improving end-user experience and at times falls short of presenting a complete picture regarding true aspects of any software tool. With this article we tried to make it easier for you to choose the best iOS emulator according to your preferences.